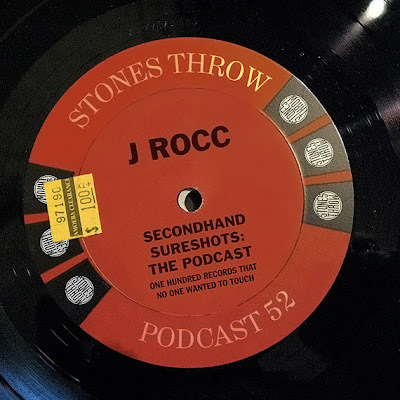 You are really missing out if you haven't yet picked this mix up from the Stonesthrow website. Don't freak-out Stonesthrow police, the link goes straight to your site. The mix is nothing but dollar record bin finds from L.A. area record stores. I think due to ST assault on blogs we shouldn't post any ST mixes in our blogs. We should only post mixes through email or forums. I'm gonna grab this mix but I ain't posting it on my blog....ever. I JUST got a DMCA notice from ST today, and what's funny is that two of the mixes have music that was definitely not licensed by Stones Throw. How is it that they can sell mixes with unlicensed music, but then they "bust" us for reposting them? C'mon, they aren't licensing the music on this Secondhand mix. I respect the protection of STONES THROW recordings, but this mix police thing is ridiculous. I would love to see them get a taste of their own medicine. has pnb'wolf got too big for his boots?? after hearing the stories, I understand your guys' caution...not sure their motivies. I stopped subscribing to their podcast awhile back, so without this post, I wouldnt have known about it. so thanks! it was def worth a download!